GROWING UP, BEING A BLOGGER WAS NOT CONSIDERED A CAREER OPTION. IT HAS BEEN QUITE A JOURNEY TO GET HERE. I STARTED WRITING ABOUT THE AGE OF 9. I KNEW I LOVED MUSIC LONG BEFORE I STARTED WRITING. OVER THE COURSE OF GROWING UP, I FOUND MY WAY TO A PATH TO MERGE MY LOVE OF MUSIC AND PASSION FOR THE WRITTEN WORD. I BECAME A MUSIC JOURNALIST. BEFORE GRADUATING FROM UNION COUNTY COLLEGE IN CRANFORD, NJ WITH MY ASSOCIATES DEGREE IN COMMUNICATIONS AND LIBERAL ARTS, I STARTED WRITING FOR THE VERY PUBLICATION I READ WEEKLY. I WAS HIRED AS AN INTERN DURING MY LAST SEMESTER. I WOULD BECOME A PAID EMPLOYEE OF ARTS WEEKLY, INC. DURING MY INTERNSHIP AND WOULD WRITE SEVERAL WEEKLY COLUMNS FOR THIS PUBLISHING COMPANY STARTING IN MARCH 1994 WHEN I TOOK OVER THE COLUMN BEA FLATTE WHICH APPEARED IN THE AQUARIAN WEEKLY. FOLLOWING MY INTERNSHIP, I WAS OFFERED A BLUES COLUMN. WRITING BOOGIE N BLUES WAS MY BEST BLUES EDUCATION. I WOULD ONLY WRITE ONE COVER STORY FOR AW, CROSSROADS, A TRIBUTE TO JIMI HENDRIX AND STEVIE RAY VAUGHAN. PUBLISHED AUGUST 23, 1995. THIS MIGHT HAVE BEEN THE ONLY COVER STORY I WROTE, BUT YEARS LATER, WHILE LIVING IN NC, I WOULD LEARN THAT ARTICLE IS LISTED IN STEVIE RAY VAUGHAN DAY BY DAY, NIGHT AFTER NIGHT; HIS FINAL YEARS 1983-1990. WHAT A TRUE HONOR! TWO YEARS LATER, ARTS WEEKLY, INC. OFFERED ME ANOTHER COLUMN OPPORTUNITY FOR THEIR PUBLICATION, THE EAST COAST ROCKER. BACKYARD BOOGIE N BLUES FEATURED NEWS ABOUT ACTS ON THE LOCAL ROCK N BLUES SCENE. I WOULD BE A PUBLISHED WRITER AT ARTS WEEKLY FROM 1994-1999. I WROTE SEVERAL BAND PROFILES THAT FEATURED LOCAL AND REGIONAL ACTS. THESE ARTICLES WERE PUBLISHED IN TWIST & SHOUT ANOTHER ARTS WEEKLY GEM. ALONG THE WAY, I HAD THE HONOR TO MEET AND INTERVIEW AND WATCH MANY GREAT PERFORMERS PLAY LIVE, UP FRONT WITH MEDIA ACCESS. THERE IS NOTHING YOU COULD OFFER ME TO MAKE ME TRADE MY LIFE STORY. I MET B.B KING AT A HIGH SCHOOL IN DENVILLE, NJ. I INTERVIEWED BUDDY GUY AT A HOTEL IN NEW YORK CITY. MEETING MY FAVORITE ROLLING STONES GUITAR PLAYER, MICK TAYLOR, FOR AN INTERVIEW AT A STUDIO IN NEW YORK CITY WAS A GREAT HONOR. TRULY AN AFTERNOON I WILL NEVER FORGET. I GREW TO KNOW WITH JEFF HEALEY AND WOULD KEEP IN TOUCH WITH HIM UNTIL CANCER TOOK HIM TOO EARLY AT NEARLY 41 YEARS OLD, IN 2008. I CAUGHT UP WITH HIM SEVERAL TIMES ON THE ROAD WHEN HE WAS IN SUPPORT OF HIS BLUES TRIO. RUFUS THOMAS MET ME AT A DIFFERENT HOTEL IN NYC. WE SAT IN THE LOBBY TO TALK. I ENJOYED HEARING HIM WARM UP HIS VOCALS FOR HIS APPEARANCE ON CONAN O'BRIEN. HE WOULD SING WALKIN' THE DOG. O'BRIEN WOULD DANCE WITH ME IN THE AISLE BEFORE THE START OF THAT SHOW. IT NEVER GETS OLD RELIVING THE MEMORIES OF INTERVIEWING KENNY WAYNE SHEPHERD THE WEEK HIS DEBUT TOOK OVER THE BLUES CHARTS OR WATCHING HIM SHRED HIS GUITAR FROM JUST FEET AWAY. HE WAS JUST 18 WHEN HE EXPERIENCED HIS FIRST RIDE TO THE TOP OF THE CHARTS. WHEN WE MET HE WAS CONQUERING THE BLUES WORLD WITH HIS "DEJA VOODOO" ASSAULT ON THE BLUES. REMEMBERING THE MUSIC MEMORIES ALWAYS FILLS MY SOUL WITH HAPPINESS. I THANK THE ROLLING STONES. THEY BROUGHT MUSIC INTO MY LIFE. THAT IS WHY I WRITE UNDER THE NAME OF TRACEY STONES. GETTING BACK TO WRITING AND MUSIC IS EVERYTHING I WISH TO DO AGAIN. SEPTEMBER 1996 I DEBUTED ON AIR AT 88.9 FM WBZC IN BURLINGTON COUNTY. THE TRACEY STONES ZONE, YOUR TICKET TO RIDE. IT WAS A MONTHLY FEATURE SHOW THAT TIED IN WITH MY MONTHLY COLUMNS. I WOULD INTERVIEW THE NATIONAL ARTISTS COMING THROUGH THE AREA AND PROMOTE BLUES SHOWS IN NJ/NY/DE/PA. ​1994-2005 MANAGER/PERSONAL ASSISTANT/MEDIA AGENT FOR TEDDY YOUNG & THE ACES. Tracey Stones Productions, LLC is here to help promote your music more effectively. We provide bands with the tools they need to get their message out to build a fan base. If you take the time to practice your craft, and invest in the equipment to make your sound unique, take the time to make sure people know where to hear you. Tracey Stones Productions can provide you with the tools you need to attract fans and better job opportunities. We can write fresh web pages that describe your band project or solo act. We offer affordable photography services to get live pictures and staged pics for your website and social media pages. We offer interviews with a professional journalist with years of experience interviewing musicians. Club owners and music venue owners, we are here for you too! We help create calendars for your live music schedule, offer help promoting your events and keep the entertainment fresh and exciting for your patrons. We can even manage and promote your entertainment schedule. We will hire the bands, promote the dates and create the calendar! Music event organizers, we are here to write your press releases and help get the word out on your upcoming event. We also represent several acts that you might like to consider for your upcoming event. ​Tracey Stones has been connecting people to music by way of her words for more than 30 years. She has experience as a band manager, booking agent, press agent, published music journalist, radio dj and self employed blogger publishing www.ncmz.live each week for the NC music scene. Her work on publishing a weekly blog has generated excitement and enthusiasm for our local music scene. 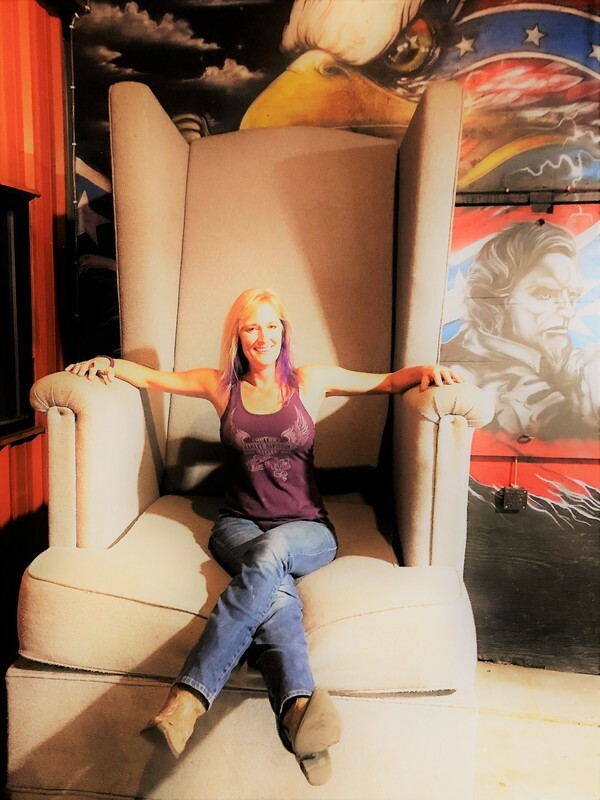 Now looking to expand that excitement, she has launched a company that will work for the bands and venues in support of this exciting live music scene. Tracey Stones has become known on the North Carolina music scene for her work promoting the scene itself as a whole. Stones writes and publishes a blog each week that focuses on live music being made around the state and offering central focus on the down east region.